As a company which has operated successfully for decades on a worldwide scale, the Amstetten-based Umdasch Group has once again demonstrated a significant growth dynamic in 2011 within its companies Doka Division (concrete formwork technology) and Umdasch Shopfitting Division (shopfitting). By the end of 2010 a considerably improved economic environment was in evidence; during 2011 this resulted in revenues of € 968 million for the Umdasch Group, an increase of seven percent; there was an equally encouraging increase in the result of ordinary business activities to € 73 million (an increase of 22 percent!). This optimistic outlook for the future was also evident in the 41 percent increase in investment volume (a total of € 55 million). Worldwide the Umdasch Concern employed an average staff of approx. 7,100 in 2011 (an increase of 3.4 percent) – the current total is approx. 7,300. A stable and positive economic climate in most markets allows us to expect a continuation of this encouraging trend in 2012. The Umdasch Shopfitting Group with its core brands Umdasch Shop-Concept and Assmann Ladenbau achieved revenues of € 209 million in 2011. That represents an increase in revenues of € 13 million (6.6 %) compared with the previous year. In spite of a positive result the qualitative targets have not been reached in all areas. This was partly due to the widely differing developments within the individual markets and the individual companies. Nonetheless, in the light of the strengths of the group the strategy document “USFG400” was developed and sets the course for profitable growth. Decisive impulses will be set in future with a convincing uniform market image for Umdasch and Assmann. A glance at the retail sector turnover in many European countries in 2011 reveals that in the medium term the retail sector remains a stable pillar of overall economic development. However, behind the scenes a series of exciting challenges can be observed which also affect shopfitting companies considerably. First and foremost are the continuing above-average growth rates in online business. Numerous retail firms are becoming so-called cross-channel players, in other words companies which operate via several sales channels at the same time – for example, bricks-and-mortar shops, online, mobile and mail order. There is no doubt that shops will also continue to exist in future. Instead of “more of the same”, however, they will require individual, authentic concepts, with variety, rather than size, being the governing factor. One of the hottest topics at the moment is the coherent correlation of digital concepts with bricks-and-mortar shop areas. In 2011 the Umdasch Shopfitting Group succeeded once more in demonstrating in a convincing manner that it is a first-class partner for the design and realisation of trend-setting store concepts. Among the top references in Austria are the 14,000 m² Eybl World Store in Vösendorf near Vienna and the new Billa Corso in the historic centre of Salzburg. A small selection of the international project highlights includes: the new flagship store in Jerusalem for the Israeli department-store group Hamashbir; showrooms for Skoda; new Globetrotter stores in Munich and Dresden; shops for the luxury brand Mulberry in Spring Street in New York and in Selfridges in London; the shop for the US boardsport label Volcom in Bordeaux; and the pilot project Rewe to go in Cologne city centre. The systematic focusing on opportunities for growth in all countries enabled Doka to achieve an increase in revenues which lay considerably above the general market growth rate. The greatest growth was achieved in the markets of Latin America, which were able to increase their volume by a high double-digit percentage rate compared with 2010. 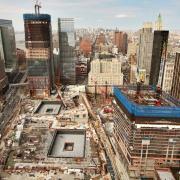 In combination with the solid business development in Europe, Doka was able to achieve revenues of € 759 million in 2011. The seven percent increase in revenues was accompanied by a clearly positive business result. A more effective differentiation of the range of products and services offered to meet regional requirements also strengthened the market position of the Doka Group and further improved the basis for sustainable business development. On the home market of Austria, an intensification of the debt crisis dampened the initial signs of recovery in the building sector. The modest growth was sustained above all by the structural engineering sector. 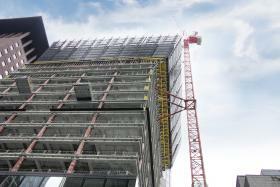 In this challenging market environment Doka succeeded in achieving a small increase in revenues in Austria. 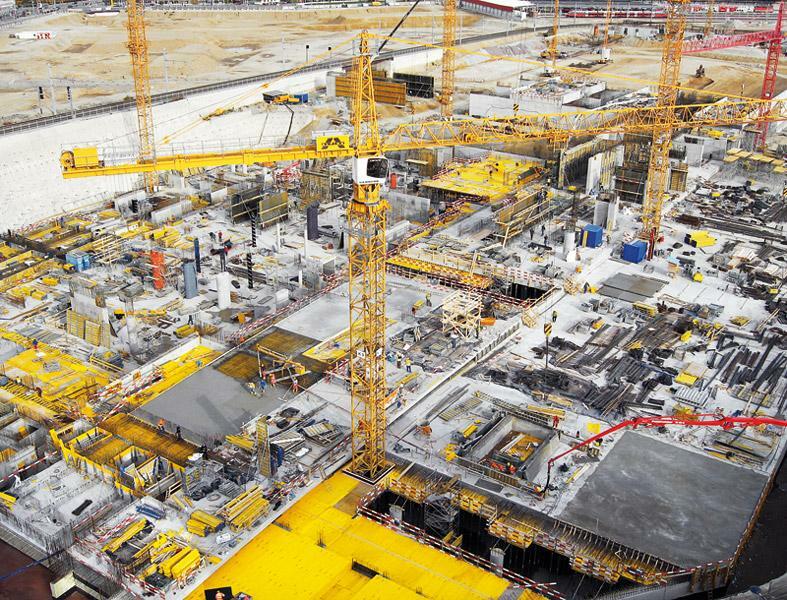 Doka’s formwork solutions were employed in a large number of outstanding construction projects like the G3 shopping resort in Gerasdorf, the Lehen power station and the central station in Vienna. 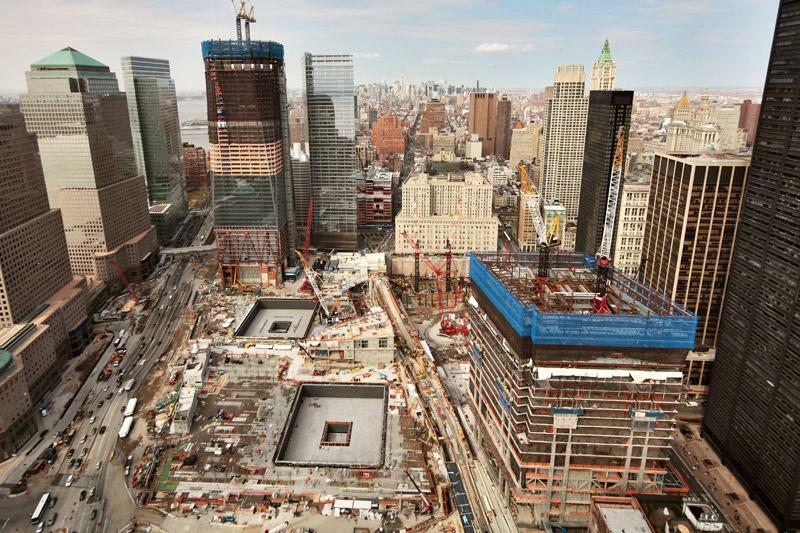 In the international sector Doka was also able to score with numerous showcase projects. 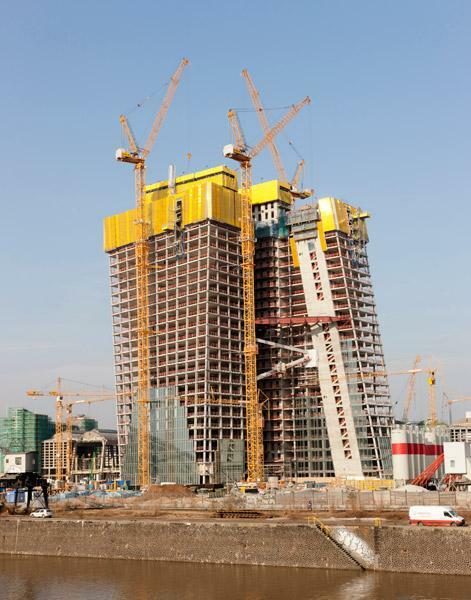 The expertise of the formwork technologists was called for, for example, in the construction of the Lotte World Tower in the capital of South Korea, Seoul. 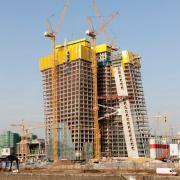 The skyscraper with a height of 555 metres will be one of the world’s tallest buildings when it is completed in 2015. Further projects which are being executed with the help of formwork solutions by Doka include the new headquarters of the European Central Bank in Frankfurt am Main by the Viennese architect firm COOP HIMMELB(L)AU, and what will be the tallest building in Italy, the Torre San Paolo in Turin, as well as the rebuilding of the World Trade Center in New York. At the beginning of the year the world’s tallest A-pylon in Vladivostok (Russia), with a height of 320 metres, was completed with the help of Doka. The numerous bridge projects completed in 2011 using the Doka formwork traveller included motorway bridges in western Romania and in Szeged in Hungary. Doka has made important investments in the growth markets by founding own companies in Australia, Malaysia, Nigeria and Peru. In March the Doka Group acquired all shares in Holzco-Doka Schalungstechnik AG in Switzerland. Holzco-Doka, founded in 1965 following the takeover of the former Zurich-based Holz-Contor AG, had been the principal agent since 1974 for the exclusive sales of Doka formwork technology in Switzerland and Liechtenstein. With the new International Logistics Centre (iLOC) in St. Georgen/Ybbsfelde near the company’s headquarters in Amstetten, Doka has set the course for logistics in the future. 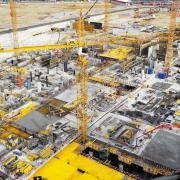 After a construction period of 7.5 months the 50,000 m² iLOC commenced full-scale operations at the beginning of 2012. The growth course of the Umdasch Group which has resumed following the world economic crisis is to be maintained in 2012. In favour of this development are the stable and positive economic prospects in most markets, which justify the expectation that the Umdasch Group will once again achieve revenues of € 1 billion. In particular, strategic increases in market share and an intensification of staff development programmes will support the pursuit of this goal. Thank you for your interest - Umdasch Group 2011: Significant growth dynamic. Thank you very much for your interest - Umdasch Group 2011: Significant growth dynamic.